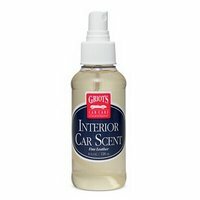 If your interior isn't smelling like a new car anymore, here is a wonderful scent to freshen the air. Griots Garage New Car Scent offers a fresh, natural air to your vehicle and will bring back that wonderful smell when your vehicle was new. The scent lasts about a week with just a couple of sprays under each seat. Here's a tip - saturate a small sponge and place it under the seat near an air vent so the wonderful smell flows throughout the cabin. And spray a little in your vacuum before you turn it on. "Thanks, you are a star. I have not heard of the shampoo before but will buy some and thank you for explaining how the Covercraft Weathershield repels water. A great after sales service."